So you just determined that you want to build some muscle. That is an excellent choice. Not only do muscles look good, they are necessary for your health and for your survival. Fortunately, we live in a world where information is abundant. Unfortunately, most of what you read online or in fitness magazines are either wrong or simply misleading. Today, we are going to teach you how to build muscle naturally, using scientific proven principles. 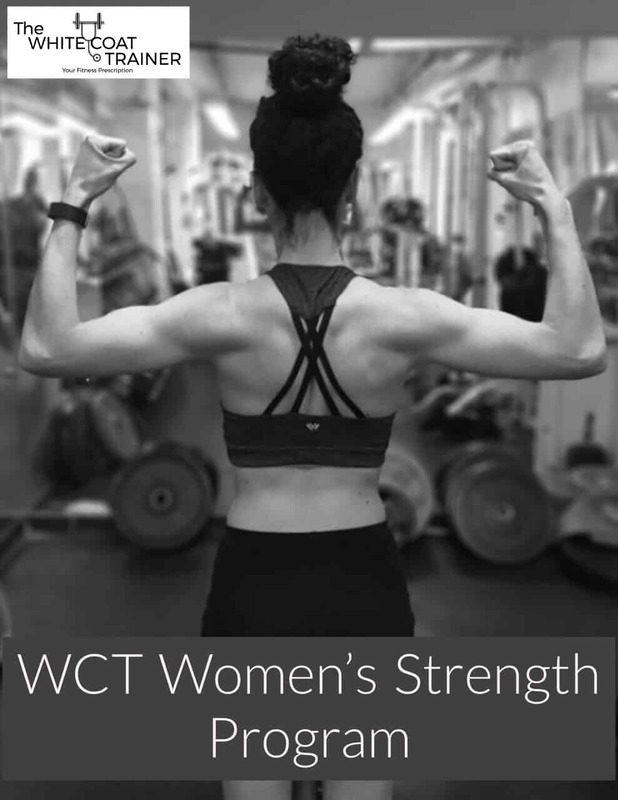 Welcome to the WCT Muscle Building Series. The goal of this series is to give you the foundation to build one of the most important organ systems in your body. In Part 2, Harness The Power Of Your Body Type [Ectomorph, Mesomorph, Endomorph] we discuss how to determine your body type and therefore, your own muscle building potential. In Part 3 The Ultimate Guide To Natural Muscle Building, we go over guidelines on how should you train based on your body type. There will be no fluff. These are scientifically proven methods of muscle development. Many would argue that the percentage of lean muscle mass that you possess is an excellent marker for measuring health. As humans age and become sick, our bodies begin to get rid of muscle mass in order to preserve energy for the most vital functions. You can automatically tell someone is very ill from how little muscle mass they possess. If you are reading this, then you probably didn’t need convincing that having more lean muscle mass is ideal. So now let’s go over what you need to do to build muscle naturally. 1) What Stimulates Muscles to Grow? The stimulus for muscle growth is resistance training. This could be in the form of calisthenics, weight lifting or any other intense physical activity. Regardless of the resistance method used, the stimulus must be something that your muscles are not used to doing on a regular basis. If you have never exercised in your life, performing 15 push-ups is a stimulus that your body has never encountered before. 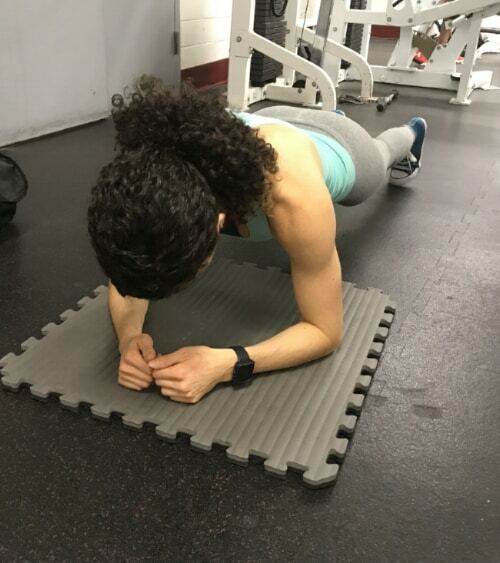 These pushups will cause a disturbance in the homeostasis of your muscles, causing them to react and use up metabolic resources. Depending on your baseline, 15 push-ups may or may not be a sufficient stimulus to disrupt your muscular balance. Obviously, if you are an athlete, than doing something out of your norm will be a new stimulus. Perhaps you squat once per week. Adding a second squatting session in that same week will be a new stimulus that can drive muscle growth. After the stimulus has been introduced, your muscles now have to recover. This usually means resting, hydrating and replenishing nutrients into your body. Given that your muscles are exhausted, they will need adequate nutrition to replenish their reserves, and to rebuild themselves. Check out What To Do Post Workout To Maximize Your Exercise Recovery to learn more. It’s also a good idea to give the muscles you just trained anywhere from ~48 hours of rest in order for them to recover back to their baseline. If you exercise without recovering appropriately, you are spiraling down a process of non-stop catabolism , and you will be doing more harm than good. Once your muscles have properly recovered from the stimulus, they will undergo adaptation. This means that your muscles will change in a way that’ll make them better prepared to handle the stimulus again, should it happen again in the near future. I.e, 15 push-ups shouldn’t cause as much a disruption to your system the second time around. This is how your body builds muscle. The key is to continue driving NEW adaptations over time. You aren’t the same person every year. Your experiences shape you and change you into a stronger version of yourself. We want to do the same to our muscles. Your workouts need to progressively introduce a new stimulus as you continue to adapt. How Should You Workout To Build Muscle? Now that you understand the basic concepts of Stimulus, Recovery and Adaptation, let’s see how to apply them in real life. In order to give yourself an appropriate stimulus, you must follow a few Basic Principles. We have written an entire series on exercise which you can find at 3 Essential Principles of Exercise. We will briefly go over two main points now. You must have a progressive stimulus. Let’s say you wanted to get a suntan. You decide that you are going to expose yourself to the sun every single day during the summer months for x amount of time. If you were to sit in the sun for 30 minutes a day, your skin would begin adapting to the sunlight (stimulus) by getting darker (adaptation). After the first few sessions, your skin would probably achieve a significant tan. But what would happen If you went on to sit in the sun for 30 minutes every single day for the rest of summer? How much darker would you get? The answer is, not much. Your skin has adequately adapted to 30 minutes of sun time, and it will no longer drive any more changes. The same holds true for muscle growth. You can’t expect to Bench Press 135 lbs for 10 reps for an entire month and think that you will get stronger or build more muscles. The stimulus has to be progressive. Your muscles have to be shocked, again and again, forcing them to adapt further. There are many different ways to increase the stimulus, with the most common being overload. Overload refers to the amount of the weight on the bar. The most common way to increase the stimulus to your muscle is to add more weight. If you lift 100 lbs for 3 sets of 10 reps, it doesn’t make sense to repeat this same scheme over and over. A reasonable approach is to do 105 lbs for 3 sets of 10 reps and so on. Obviously, there will come a point where you will plateau as you cannot add weight indefinitely. This is where you can utilize other methods to keep presenting a new progressive stimulus to your body. As you can see, there are many different paths you can take reach your destination. The whole point is to perform more and more volume (overload) over time. This is the most important principle of muscle building. This is why training is so much fun. You have the ability to learn new and different modalities to challenge your body and keep seeing progress as time goes on. To make things easy, we have created a pre-filled template that covers all of these principles to help you build muscle. 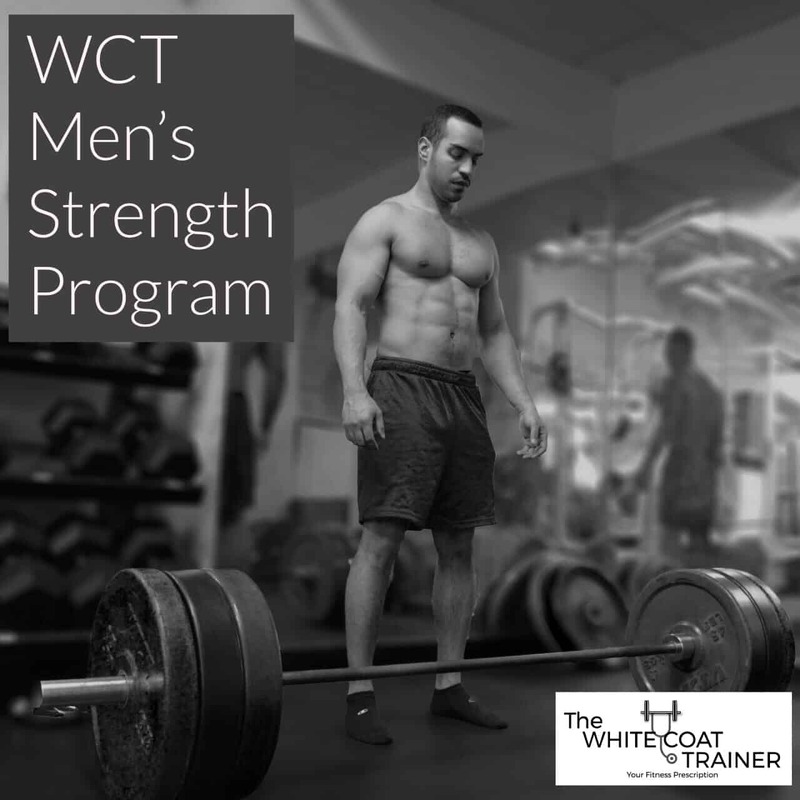 Check it out at The White Coat Trainer Strength Template. There are Male and Female versions too! What Should You Eat To Gain Muscle? The last two pieces of the puzzle are nutrition and sleep. In the Stimulus-Recovery-Adaptation model described above, it is important for your muscles to recover from the stimulus. We need to give your muscles the building blocks to repair themselves and drive the adaptations that we are after. You cannot exercise hard for a month, eat Cheetos, Twizzlers and beer and then expect your body to recover appropriately. You must consume high-quality protein: wild caught fish, pasture-raised beef and poultry, and colorful legumes such as split peas and lentils. With that being said, Protein is by far the most important macro-nutrient that you must consume regularly (especially post workout) to maximize your recovery. You should consume at least 30 grams of protein post workout, and maintain your protein intake high throughout the day. Post workout is also the best time to consume carbohydrates, as your body will preferentially use up these carbs for rebuilding and restoring itself rather than storage. Don’t consume candy and other garbage carbohydrates. Eat brown rice, sweet potatoes, and/or a few handfuls of mixed vegetables. Aim to consume anywhere from 50-100 grams of carbohydrates post workout depending on your size and activity level. The key is to give your body nutrient dense foods. Not nutrient deprived foods. Do you want your muscles to be made out of cheetos, or of food created by mother nature? The final piece of the equation is sleep. Sleep is the equalizer. Without sleep, your body will not be able to restore itself to drive the necessary adaptation to build muscle. As a busy professional, it may be difficult to actually get a high number of hours of sleep per night, but you do not necessarily have to. It’s important to remember that sleep quality is just as important as sleep quantity. The Holy Trinity of Health and Fitness requires Exercise, Nutrition, and Sleep. Exercise only accounts for about 1/3rd of the pie. Without sleep and nutrition, you are simply wasting your time. Even if you cannot sleep 8 hours a night, it is important to set yourself up for success by following a few key steps to improving the quality of your sleep. Okay, so there you have it. You now understand that in order to build muscle, you must go through a cycle of Stimulus -> Recovery -> Adaptation. In order to maximzie the stimulus, you should follow the principles of progression and overload. To maximize recovery you need to ensure that your nutrition is adequate and your sleep is of high quality. 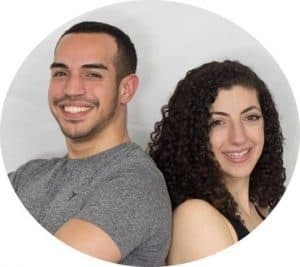 How to Harness The Power Of Your Body Type [Ectomorph, Mesomorph, Endomorph] where we discuss how to determine your body type and therefore, your own muscle building potential. 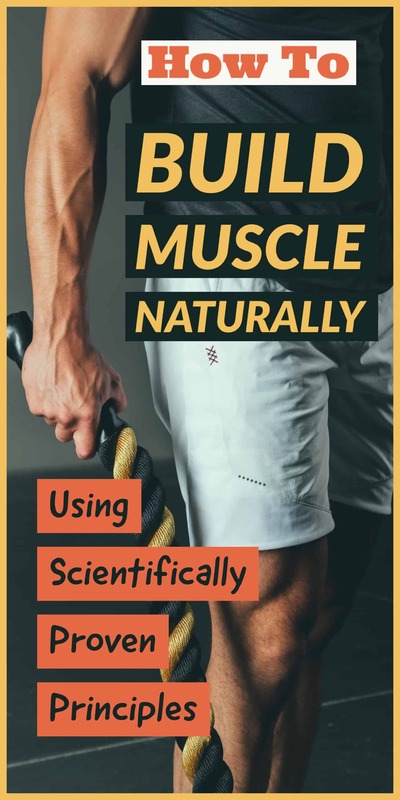 and in Part 3 The Ultimate Guide To Natural Muscle Building, we go over commonly asked questions such a how much weight do you need to lift and give guidelines on how should you train based on your body type. Which of these strategies have you struggled with before? Have you been able to gain appreciable muscle yet?